Have you lost your keys or locked yourself out the house in London? We can help! We have Locksmiths in London that are available 24 hours a day to unlock your door and get you back in! Our network of experienced, uniformed and DBS checked London Locksmiths are able to help with a wide variety of locksmith work, 24 hours a day, 7 days a week. Our experienced locksmiths fit and a repair a wide variety of locks every day to the doors of homes and businesses throughout London. We know how easy it can be to accidentally lock yourself out of your home - If you've left your keys inside and shut the door behind you, or you've lost your keys, we can get to you quickly and unlock the door without causing any unnecessary damage. "LockRite came out to my house within 30 mins of the call. My front UPVC door will not stay shut without locking. The locksmith was very helpful, explained everything very clear and priced the job fair. Will definitely recommend his service." 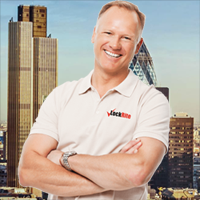 All of our London Locksmiths live and work in London which means we can get to you quickly. It also means that you are using and supporting a local locksmith while having the reassurance and peace of mind of using a trusted, nationwide company. Our London locksmiths work around the clock, so if you're in need of a locksmith in the middle of the night, we can help. If your key has snapped or it's stuck in your lock, if you can't lock your door or you've locked yourself out, we could be with you in just 30 minutes* to get you back in. LockRite locksmith London are DBS checked for your peace of mind. Our work is covered by a 90 day guarantee on workmanship and the parts we use have a 12 month manufacturers guarantee. The LockRite help desk team is able to take your calls 24/7 should you have any queries; call 0203 292 0060. 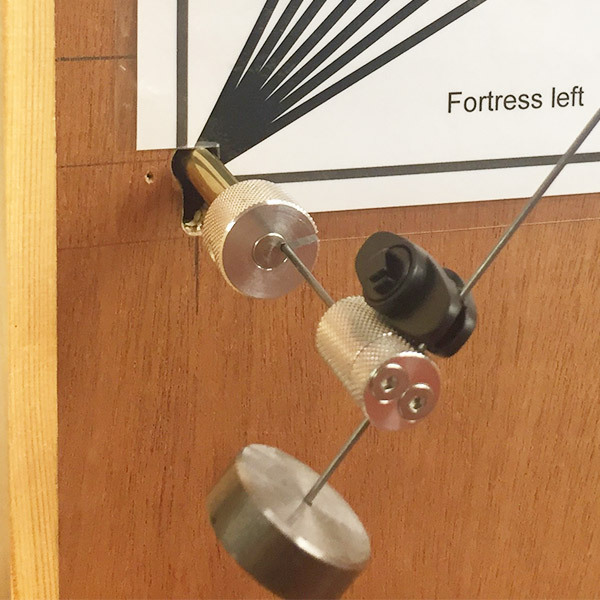 Are you having difficulty locking your door? 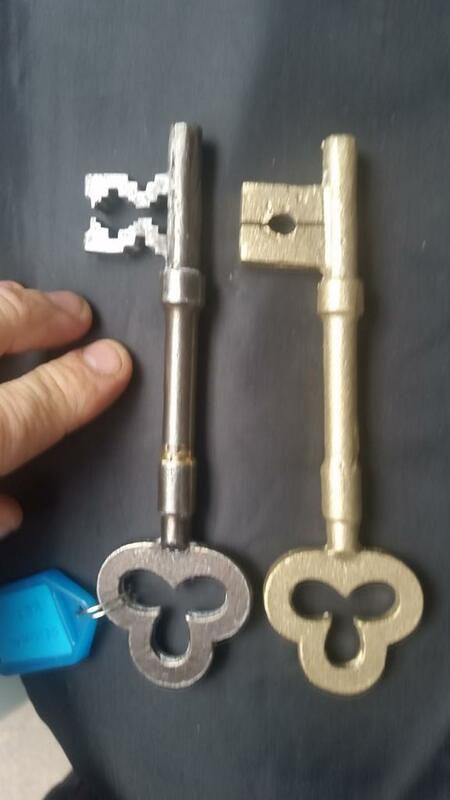 Are you having problems turning the key, or getting the key into the lock? Usually, these scenarios point to a fault with the lock. 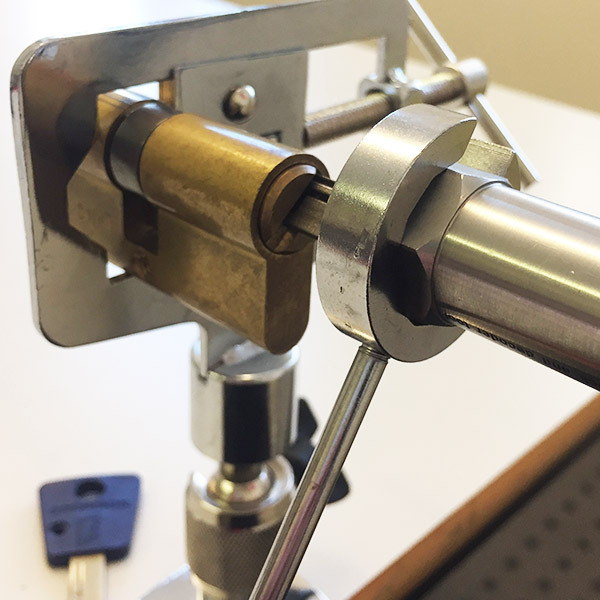 Our London locksmiths are able to help and will be able to advise on a repair or replacement depending on the circumstance and severity of the problem. Some lock problems will warrant the replacement of your locks. It's important that you don't overlook the security of your home and that you have good locks in place to make it more difficult for thieves to break in. 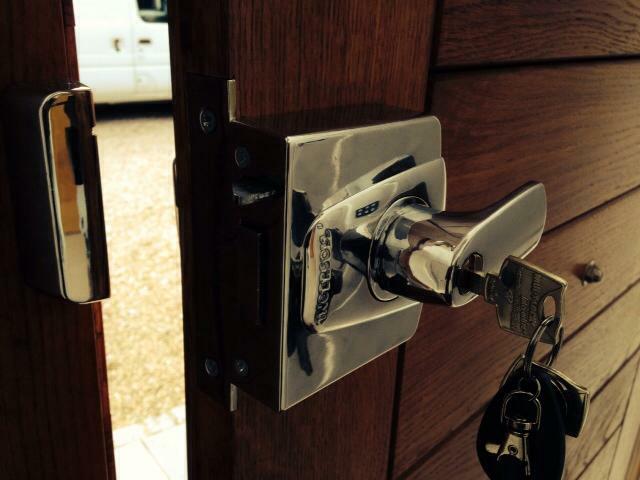 We can replace your existing locks with new, anti-snap locks that meet British Standards. If your home has been broken into, depending on the point of entry, it's likely that the burglar has left damage to your locks, doors or windows. 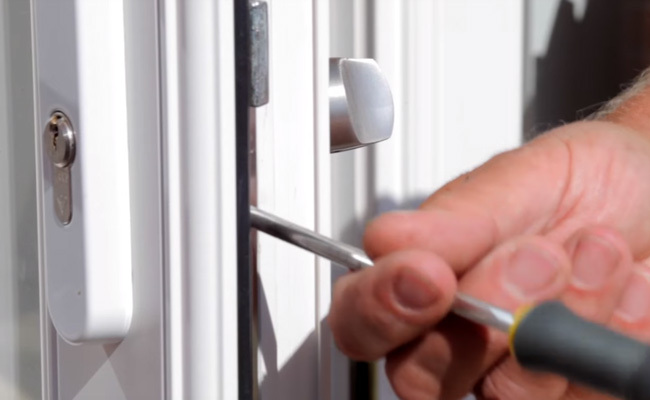 It's important to get any damage rectified that could compromise the security of your home. 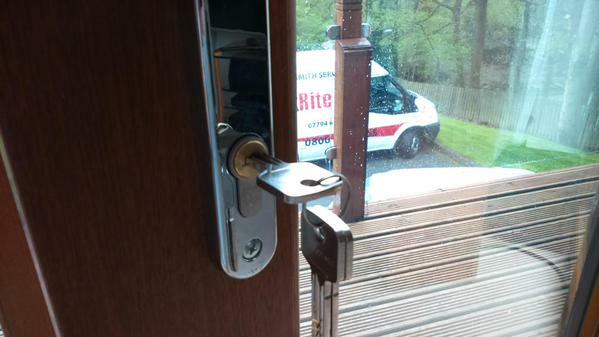 LockRite locksmiths London can repair or replace your locks and board up any damage caused to your windows. Have you recently bought a new home or property in London? it's worth thinking about getting a locksmith London to change your locks. Often, previous owners will have taken spare keys with them, or given some to family and friends to tend to the property whilst they've been away on holiday or have left the house un occupied for a number of days. 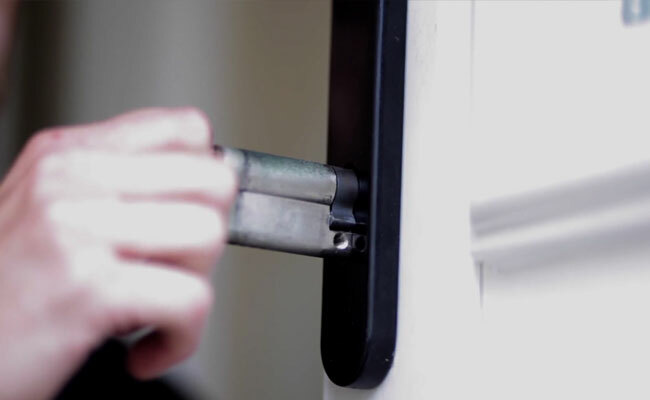 Our professional London locksmiths can offer advice on keeping your home secure and the best ways to avoid being targeted by thieves. Upgrading your locks and improving your garden security by adding things such as lights with motion sensors can help to deter a burglar. It's been reported by the BBC that Firefighters are being used as Emergency Locksmiths in London at a cost to the tax payer of around £5m. Between 2009 and 2011 the London Fire Brigade were called out to 2,287 incidents where people were locked in and 1,613 incidents where people were locked out, amongst other lock related incidents including 14 incidents where people were locked in cupboards and 1 incident where a woman managed to get stuck in a fridge. The London Fire Brigade has spoken out about the 1000's of lock out related incidents they receive every year, saying "We get called to an absurd number of non-emergency incidents involving people who have locked themselves in or out of their homes ... locksmith London should be called unless someone's life was at risk". Between 2009 and 2011 the fire brigade reported to have attended nearly 22,000 incidents of this type, that totals to 20 of these lock related issues each day. Perhaps the most worrying issue here is that while professional firefighters are trying to get people back into their properties it's likely to hinder their response times to a life threatening emergency. Before calling the emergency services - think, are there any lives in danger? - If you find yourself locked in or out in London, LockRite could be with you within the hour and unlock your door. Interested in viewing crime figures for your London postcode? Use our "How safe is your neighbourhood?" app to find out more. This video shows UK wide burglary statistics. The statistics show 35% of burglaries involved the theft of computer equipment or televisions, just over 30% of burglaries involved the theft of electrical goods like cameras and 34% involved the theft of cash, wallets or purses. Perhaps the most shocking statistic to note is the fact that in 15% of burglaries, the perpetrator was able to get into a property through a door that was left unlocked. LockRite are your local locksmiths in London. 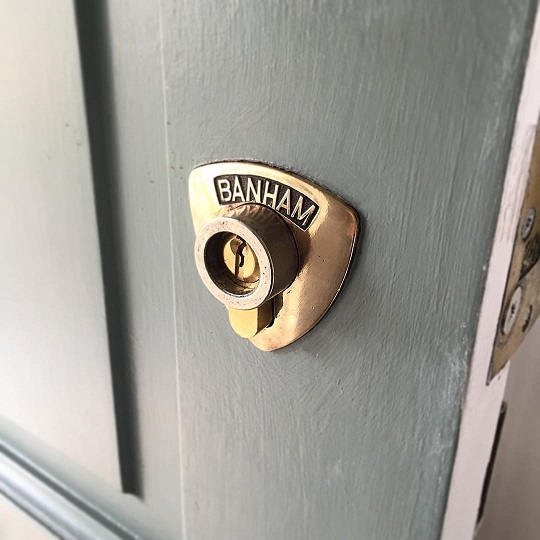 Servicing all of Central London, Greater London and the surrounding areas, we provide a broad range of locksmith and security services to both commercial and residential customers. We also offer a 24-hour emergency call-out service with rapid response times, so whenever you need locksmith services in London, give your local locksmiths at LockRite a call. All our locksmiths are London locals, which means we can get to your home or place of business quickly. It also means you’re supporting a local locksmith whilst enjoying the peace of mind that the services of a nationwide company provides. If you’ve lost your keys or locked yourself out of your home or place of work, our local locksmiths can gain entry to your property using the latest non-destructive entry techniques and equipment. We’ll get you back in without any unnecessary damage. When a property has been broken into, there’s usually damage to the window or door where the intruder gained entry. 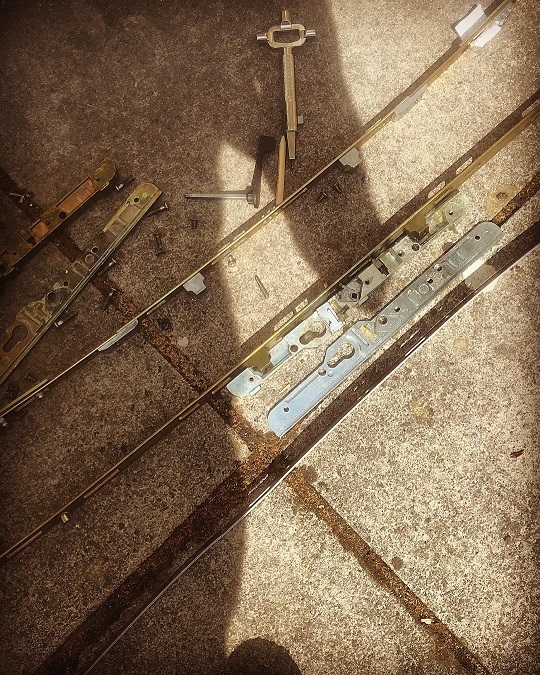 To make the premises secure, this damage must be repaired immediately, so give us a call if you’re in need of burglary repairs. If you have broken or shattered windows, boarding them up straightaway is crucial to securing your property until they’re replaced. 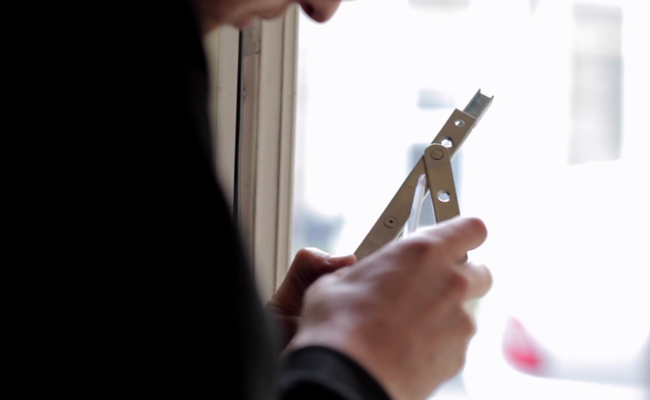 If your need your windows secured immediately, give LockRite locksmith London a call. We aim to get to your property within 30 minutes. 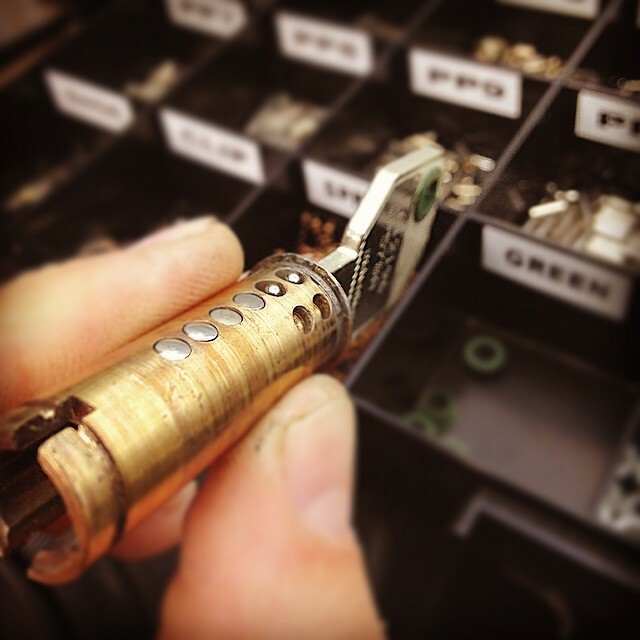 Our local London locksmiths can take care of all your lock change and repair needs. 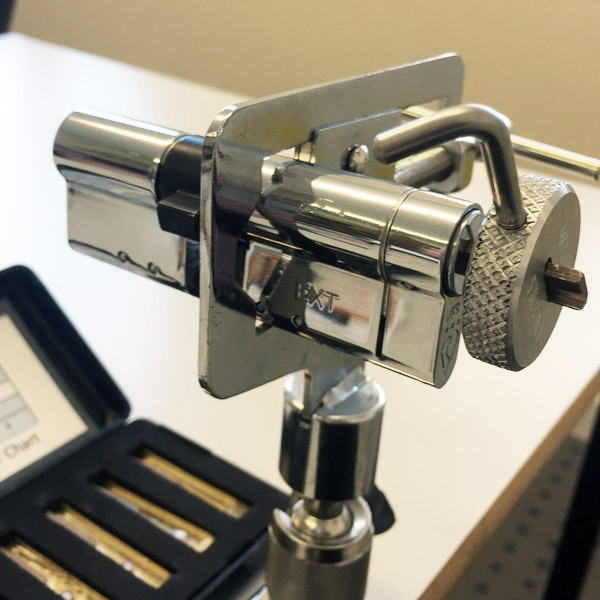 We can fit, supply, repair or change an extensive range of locks, including anti-snap locks, combination locks, mortice locks, Euro cylinders, and many more. As all our vans are equipped with the latest key cutting equipment and a broad range of commercial and residential blank keys, we’re able to provide key cutting services on the spot. If we’re already at your property for another issue, don’t hesitate to ask. Our general locksmith services are professional, value for money and provide peace of mind. 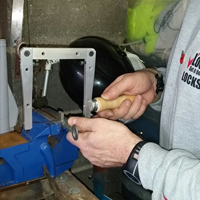 If you have need of general locksmith services in Central London, Greater London or the surrounding areas, give the local locksmiths at LockRite a call. Having served the security needs of London residents for many years, we can safely say that there’s no one-size-fits-all home security solution which can be implemented to provide peace of mind. What works wonders for a semi-detached family home in Wapping won’t deliver the same benefits for a studio apartment in Wembley and vice versa. So, what does this mean for Londoners looking to upgrade security at home? It simply means a security solution which meets the precise needs and requirements of that particular residence need to be created. And the best way to create a security solution is to have a security survey carried out by experienced security specialists. 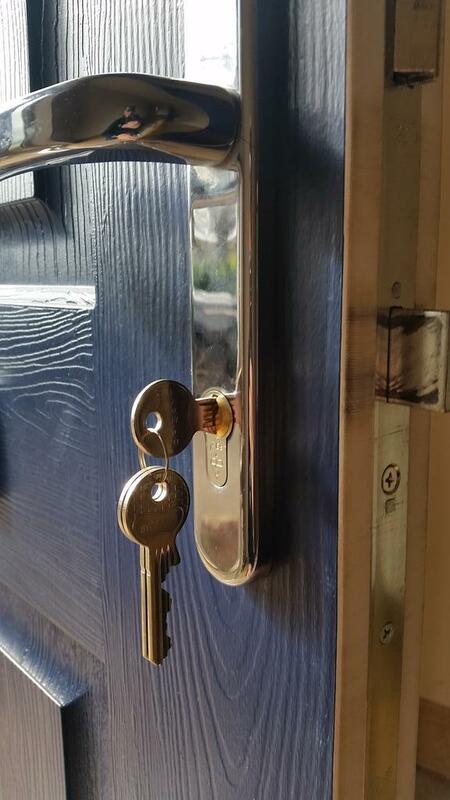 LockRite locksmith London can carry out a home security survey to help you understand the areas of your home most vulnerable to intrusion and the best means of securing your home. Our local locksmiths can also make sure your locks are covered by your insurer, and they can also advise you on how to make your home less of a target to thieves. It may not seem like a problem since you’re at home, but leaving valuables like your purse, wallet, phone or laptop in plain sight of your ground floor windows can serve as an invitation to thieves. Keep them out of sight and away from your windows. In summer, many Londoners leave their windows open to catch the breeze, but what about passers-by with criminal intent? Open ground floor windows are easy intrusion points for thieves, so keep them closed if you’re not at home or in the same room. Sadly, we’ve seen a rise in the number of break-ins that can be attributed to sharing personal information online, and not only with strangers. If you plan on sharing your travel plans online, please be careful and only share with people you know and trust. It’s often the case that a discrete, state-of-the-art security system doesn’t deliver the same home security benefits as something as simple as a shiny new deadbolt or a ‘Beware of the Dog’ sign. Visible security measures are often the best deterrents. Hedges and shrubs are a common sight across London. Although aesthetically pleasing, they can actually serve as hiding places for burglars. Make sure your garden doesn’t totally shield your windows and make it easy for thieves to hide. 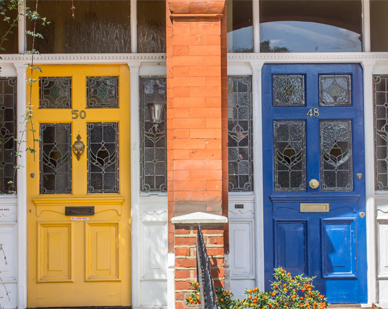 Our local security experts can carry out a security survey at your home and advise you of the best measures to take to protect your family and possessions. If you’d like a free, no obligation home security survey quote, call 0203 292 0060. Commercial security is an issue right across London and the surrounding areas. Whilst areas like Camden, Islington and Westminster are hit hardest by crime, even in areas with below average crime rates like Bexley, Harrow and Sutton, commercial security isn’t something that any business owner can afford to take lightly. LockRite can supply, install and maintain a wide range of high-tech access control systems that meet all the requirements of London businesses, and we also provide a broad range of commercial locksmith and security services. These include panic bar hardware, lock changes and repairs, suited master keyed systems, locking systems and handles, armour plated glass door locks, safes, cabinet locks, till drawer locks and many more. All our services can be tailored to meet your security requirements. Access control systems are much more secure than traditional key locks and they’re also far more accountable. With a good access control system you can identify which of your employees gained access to your business premises and at what time. Brightly lit entrance and exit points (usually front and back doors) can serve as an excellent deterrent to thieves. When the entrance points of a business premises aren’t clearly visible, preferably from the street, they tend to appeal to thieves. A quality CCTV system not only serves as a deterrent to thieves, it also provides evidence if your business premises is broken into. 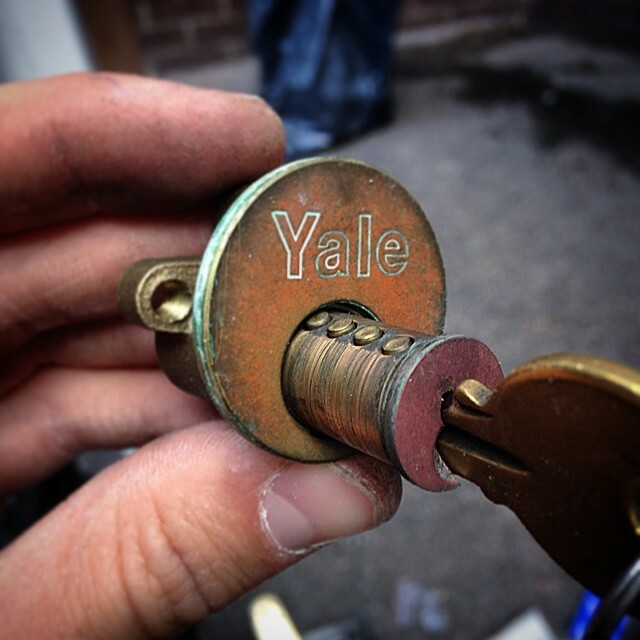 As a Yale Smart Security Partner, LockRite’s local locksmiths can supply and install Yale’s entire HD CCTV range. Recent statistics show that 60% of burglars would be discouraged from targeting a property if they knew an alarm was installed. With or without armour plated glass door locks and a visible CCTV system, an alarm can be a highly effective deterrent. Our local London locksmiths can install a variety of locks and highly secure cabinets that empower you to lock up your valuable goods and equipment in your business premises. These include safes, till drawer locks, cabinet locks and many more. To learn more about the commercial locksmith and security services that LockRite provides for London businesses, or for national account enquiries, give us a call on 0203 292 0060. One of our team can arrange for a local London locksmith to visit your business premises and discuss your needs at a time that’s convenient for you. Why LockRite for Local Locksmith Services in London? With so many local locksmith service providers operating across the City of London, Greater London and the surrounding areas, why should you give the locksmiths at LockRite a call for all your commercial and residential locksmith and security needs? 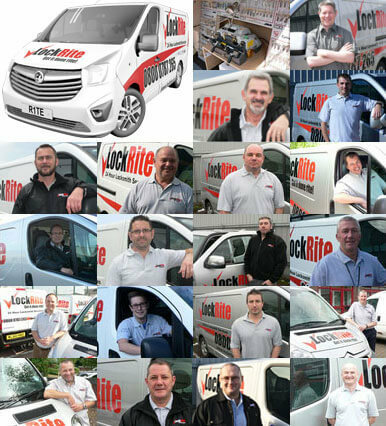 To start with, LockRite is the largest uniformed Locksmith network serving both domestic and commercial clients in the UK. All our locksmiths are Londoners who live locally, so they’ll always arrive at your home or place of work promptly, even for 24-hour emergency call outs. Moreover, all our locksmiths are fully vetted, qualified, trained and DBS checked for your assurances of quality, safety and security at all times. If you need commercial or residential locksmith or security services in London, don’t hesitate to give your friendly local locksmiths at LockRite a call. We get it done Rite! 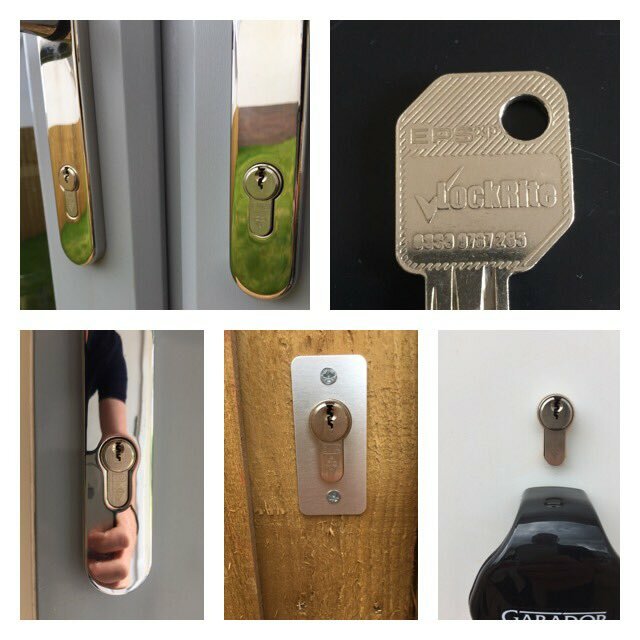 We have a network of uniformed locksmiths throughout London that are trained in the latest non destructive entry techniques, ready to attend to the locksmithing needs of homes and businesses from Croydon To Enfield, 24 hours a day. Each of our London locksmiths are self employed individuals working within your locality. 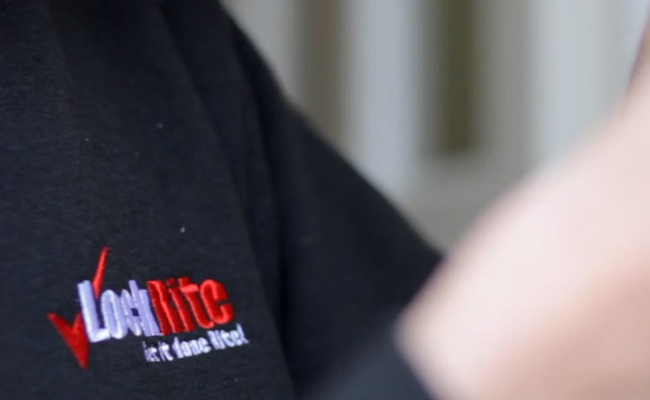 By choosing LockRite you are choosing to support a local business, while having the reliability of a Nationwide brand.